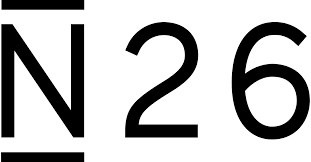 N26 (formerly called NUMBER 26) is a modern banking facility provided in partnership with Wirecard Bank. Since Wirecard bank is a bank governed by German Law, your account is protected by the German Deposit Protection Fund. N26 checking account is free of cost. It provides all the facilities of a normal bank account such as IBAN number and transactions. There is no minimum monthly deposit needed. You get a free nice looking transparent Mastercard along with the bank account. This is a prepaid credit card, therefore, does not allow overdrafts. You can only withdraw or use the balance you have on your account. Therefore, it is technically like a debit card, but since it has the Mastercard, you can use it to make transactions wherever Mastercard is accepted. Most importantly, it allows free cash withdrawal at any ATM worldwide that accept Mastercard. There might be some ATM’s which may charge a fee, but according to Number26 they are only about 2%, otherwise, it is free to use the card in the other 98% of the ATM’s. The cash withdrawal in other currencies is subject to exchange rate applied by MasterCard exchange and is generally better than if you change money abroad. There are no currency transaction fees charged by the bank either. In summary, free cash withdrawal worldwide. No transaction charges, no currency conversion charges, no nothing. Called Europe’s Most Modern bank, Number26 provides a smartphone app for making all the banking functions on the smartphone. And it is in English. You can check your account balance, make payments, temporary block the card and manage your expenses with the smartphone app. This app is one of the best banking app provided by a bank. Not only does it contain the normal functions required for any banking service, it also contains functions such as budgeting. However, note that you need a smartphone to open and use the account. The mobile app can be downloaded and used on iPhone with iOS 7 or newer, or Android phone running with Android 4.3 or newer. So if you do not have a phone with the above versions, you cannot complete the process or need to find other ways, possibly by having a virtual android phone. However, beware that you cannot use all the account features like deposit cash, for which you need access to the app at all times. This is a blessing for foreigners and newcomers to Germany. Usually, banks perform a credit check of the clients from the Schufa rating agency before opening a bank account. Unfortunately, since newcomers do not have a credit record in Germany, some free banks refuse to open an account for them. Even if an account is opened, it will take some time before you build a credit history to obtain a credit card from the bank. 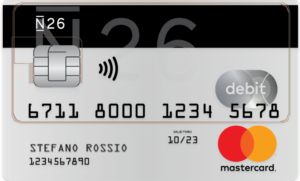 Since Number26 provides a prepaid credit card, they do not make a credit check of your credit history. This makes it easier for a newcomer to Germany without a credit history in Germany to open a bank account and obtain a credit card. The bank also does not make a credit entry once an account is opened. Usually, banks inform the credit agency Schufa of any activity such as opening an account or having a credit card. The more bank accounts you have, the more credit records are made. Sometimes a large number of records are considered not good therefore may affect your credit score. Since Number26 account does not make a record on the credit history, it does not affect your score. Therefore, it is not only for newcomers or foreigners, it is also the best option for residents who need another account and a credit card without affecting their credit score. So no need to provide an employment contract. No need to have a credit history. A document for Identity verification. This could be your passport irrespective of the country. You must have an address in Germany, Austria, Ireland, France, Spain, Italy, the Netherlands, Belgium, Portugal, Finland, Luxembourg, Slovenia, Estonia, Greece, and Slovakia. You do not need to provide a proof for this address (Anmeldung). You should just be able to receive documents which will be sent to this address. Complete online registration is also possible if you select VideoIdent. However, note that not all Identity documents can be verified using VideoIdent. It is now open to residents of Austria, Ireland, France, Spain, Italy, the Netherlands, Belgium, Portugal, Finland, Luxembourg, Slovenia, Estonia, Greece, and Slovakia. So if you are a resident in any of the above countries, you can open a Number26 account. Number26 is working on also servicing residents in more European countries throughout the next year depending on customer demand. Therefore, if you are from a European country please pre-register yourself for the account so that Number26 can determine the demand from the country. Also, pre-registering will also give you advance access when the service is rolled in your country. Since it is an online bank, you do not have branches where you can deposit or withdraw cash. However, using CASH26, you can deposit cash in any of the 3000 locations in Germany. The bank is in collaboration with different supermarket chains where you can deposit cash into your account or get cash. This includes one of the biggest supermarket chain PENNY and REAL with has stores in a large number of locations in Germany. Overdraft means you can use more than the balance in your account and an interest is charged to you on the excess amount. The current rate of overdraft is charged at 8.9 %. NUMBER26 offers an overdraft facility up to €2000, however, it is only open to customers with a residence registered in Germany and depends on the credit score. This means that if you apply for an overdraft facility, the bank will check your credit score from the credit rating agency SCHUFA and make a record on it. No EC/Maestro Card as of now, but they say Maestro card will be introduced very soon. Some shops in Germany may not accept credit cards and insist on EC or Maestro cards. But you can always withdraw free cash and purchase using cash as an alternative till then. Like all internet banks, due to the lack of branches, you cannot deposit cash directly. However, you can still deposit through another bank although it might involve costs. You can now deposit and withdraw cash at more than 3000 locations using Cash26. No overdraft facility. But it has its advantages too such as it does not need a credit check. Overdraft facility is now available with N26bank. No interest on the deposit. Unlike DKB bank, the balance maintained in your account does not give you any interest. But, they are honest and say that this is how they make money and are able to provide a free bank account and Free Mastercard with all these advantages.